Not too long ago the appearance of your bathroom is determined by the decisions of your plumber. While those with hefty budgets make big splash in their bathrooms by using expensive ceramics. Today things have changed. Expensive ceramics alone is not enough to create a nice restroom. There are infinite options when it comes to styling and decorating your bathrooms as homeowners focus has shifted away from pure functionality and sustainability to personalization and styling. 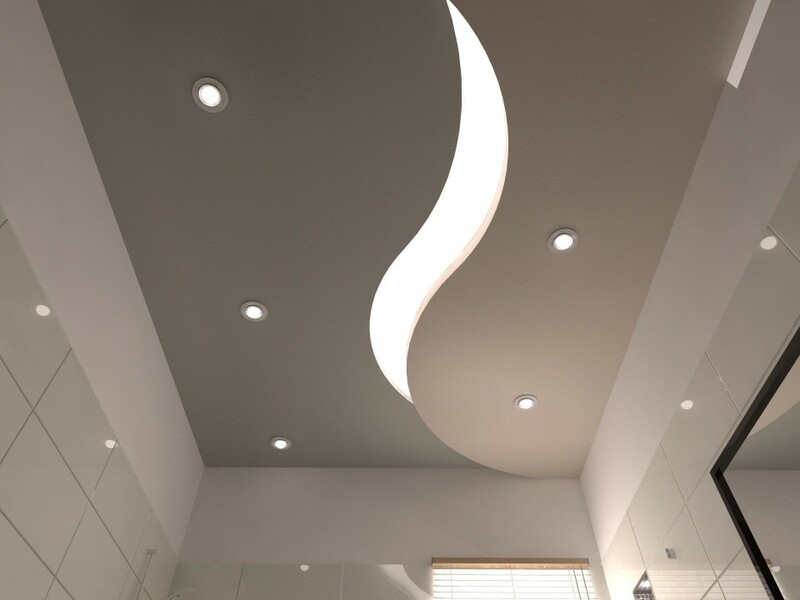 So if you have the money, and you are willing to make a different bathroom, then invest in extravagant ceiling. It will make your restroom appear stunning and stylish. 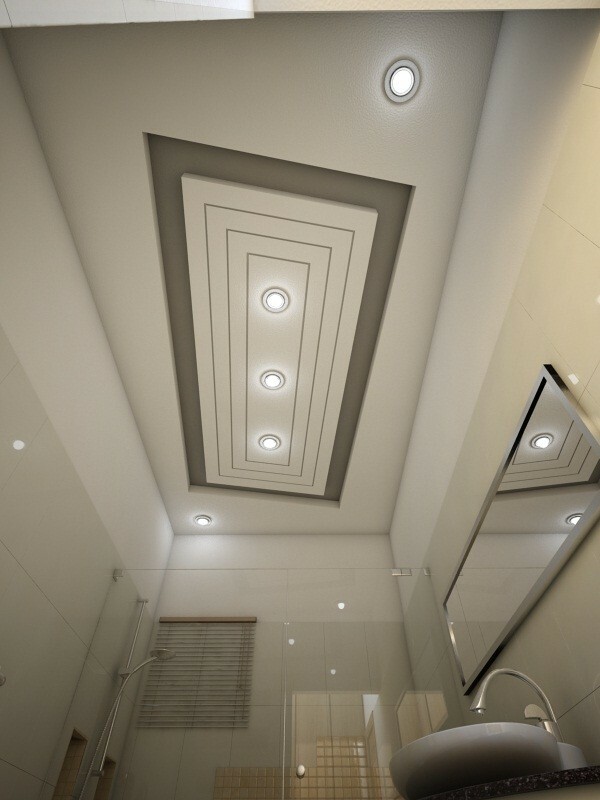 Explore these dazzling bathroom ceiling designs from AmerAdnan Associates, a premier interior design and construction company in Lahore, and choose one for your dream bathroom. See how our expert interior designer has created a splendid ceiling design without using vibrant paints or tiles. 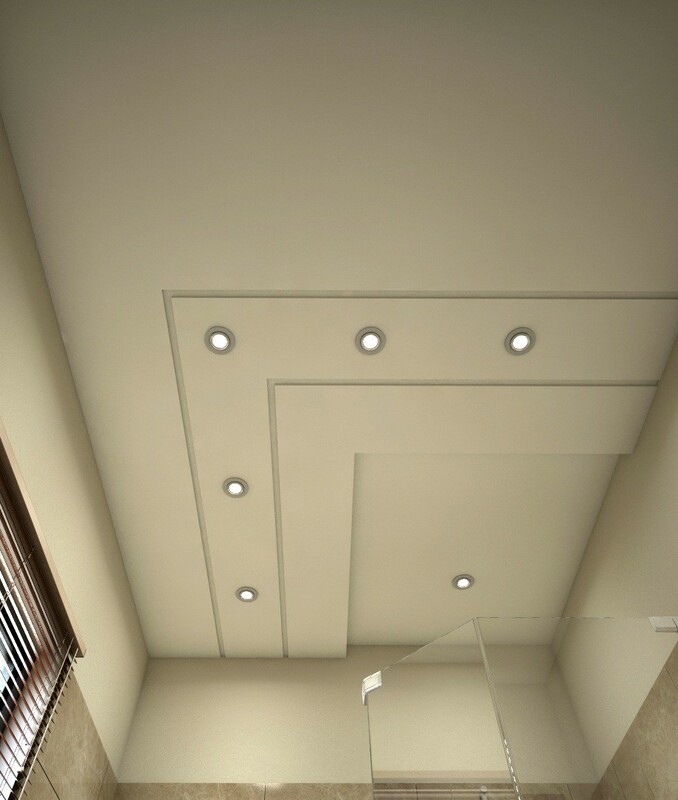 Simple yet elegant ceiling design that is surely to leave your visitors in awe. 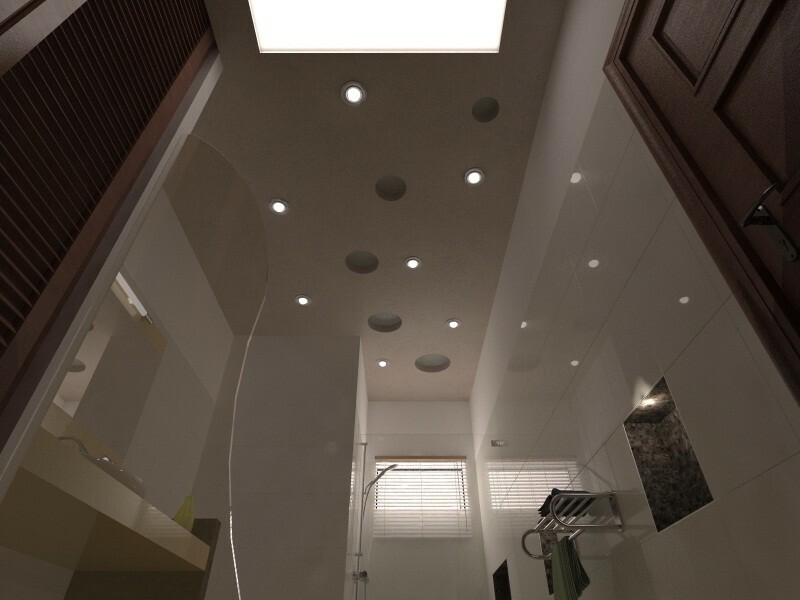 AmerAdnan prefers to use LED lighting in false ceilings because it comes with built-in light distribution feature and aid homeowners in keeping their electricity bills low. Furthermore, they are environmentally friendly and fairly easy to install, when compared to other lighting options.